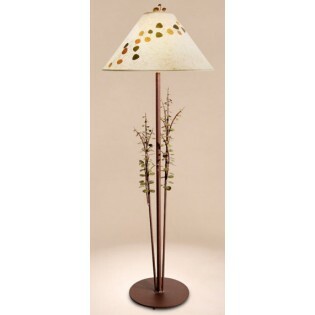 Add a touch of the outdoors to your home with this Aspen Floor Lamp. The iron forged branches and leaves add a unique touch along with the rice paper shade which is accented with real aspen leaves. This rustic floor lamp is available in your choice of black or rust finish.